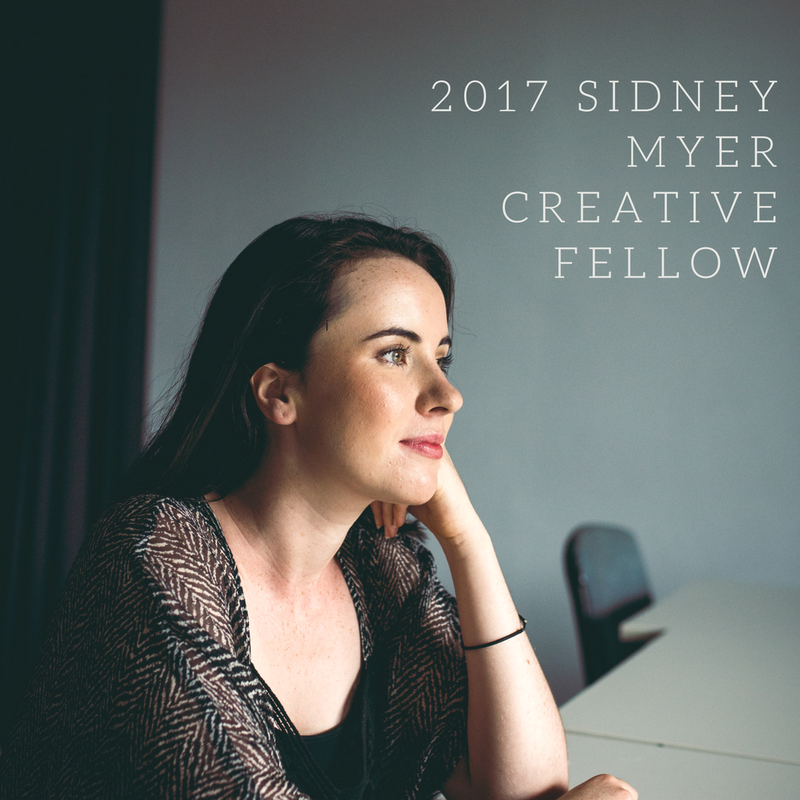 Ten artists from across Australia have been named as Sidney Myer Creative Fellows for 2017. Each Fellow will receive an unrestricted grant of $160,000. The Fellowships are not tied to any specific outcome but provide an income over a two-year period to give the recipient the freedom to develop their creative practice without financial pressure. Established in 2011 by the Sidney Myer Fund as one of a raft of initiatives to enrich the cultural life of Australia, the Sidney Myer Creative Fellowships have to date awarded over $10 million to 65 mid-career artists. To be nominated for a Fellowship, applicants must be between seven and 15 years into their creative practice and meet two criteria: outstanding talent and exceptional professional courage. The Fellowships are open to artists and arts managers across the entire spectrum of the visual, performing, interdisciplinary, new media and literary arts. 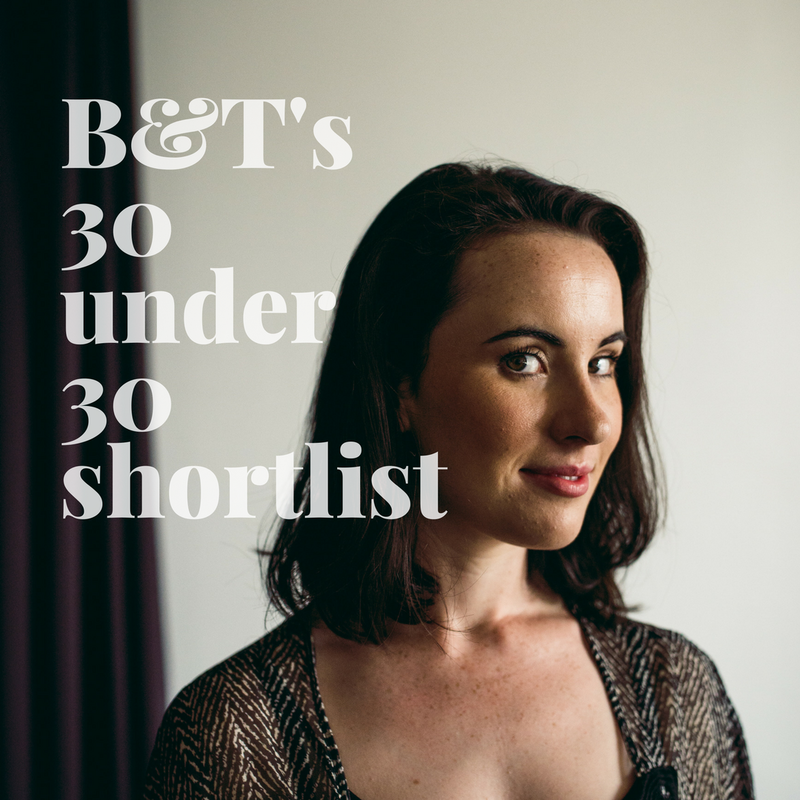 B&T’s 30 under 30 awards, are widely regarded as the leading showcase for the brightest young talent working across marketing communications. 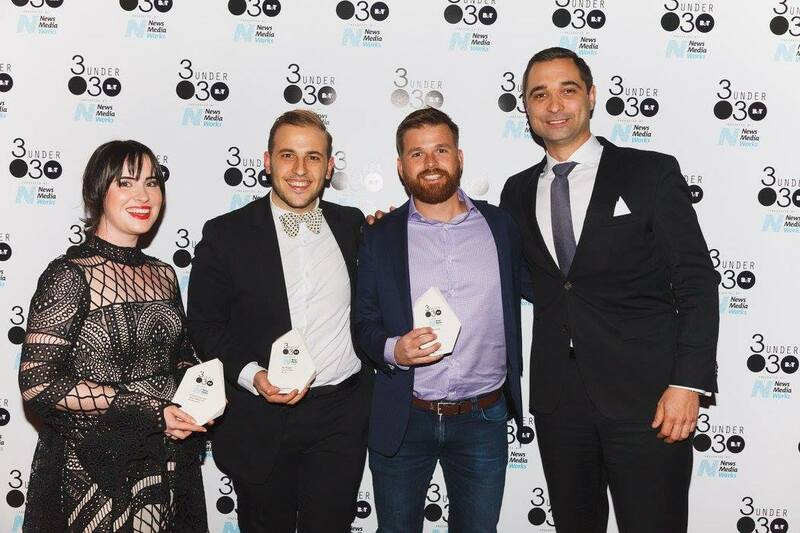 Within 10 categories, 3 winners were selected to make up the top thirty brightest minds across the Australian media landscape. Out of 300 entries, 127 were shortlisted and the final 30 were announced at the awards night which took place at the Ivy. 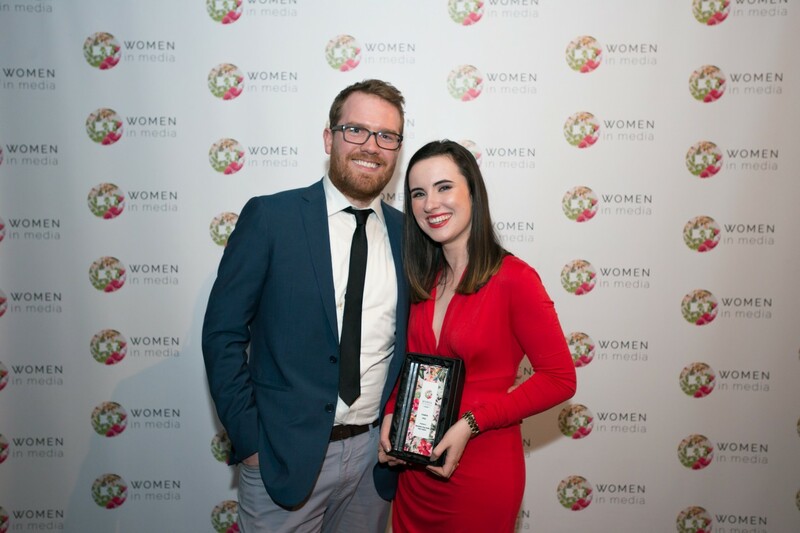 With 11 shortlisted in the entrepreneur category – we were very proud of our Genevieve for being recognised as a young leader in the media industry. Genevieve won in the category for her business endeavours (Taste Creative and Bus Stop Films) as well as her leadership in the industry. Genevieve currently sits on the Arts and Culture advisory board committee for the state of NSW, she is an advocate for diversity and inclusion and has been involved in community work at a grassroots level for over ten years. Culture must play its fundamental role in this change. Without culture, global cities are neither liveable nor sustainable. The Sydney Culture Essays take up this challenge with an inspired spectrum of perspectives from practitioners and policy makers in our creative community. Genevieve features in the Feb edition of Mindfood mag! Under Genevieve’s leadership as CEO, Bus Stop Films takes out the 2016 Human Rights Award for Community Orangisation! 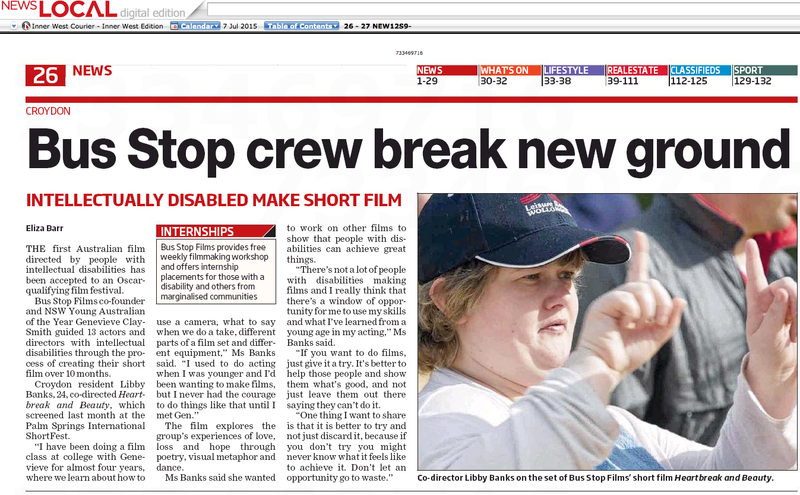 To date Bus Stop Films has run over 240 filmmaking workshops through its accessible film studies program, and currently has a partnership with the Australian Film Television and Radio School. It’s program was incubated for five years by the Sydney Community College giving Bus Stop the opportunity and freedom to grow and develop it’s curriculum. The filmmaking program teaches film studies and includes giving students mentors from the film industry. 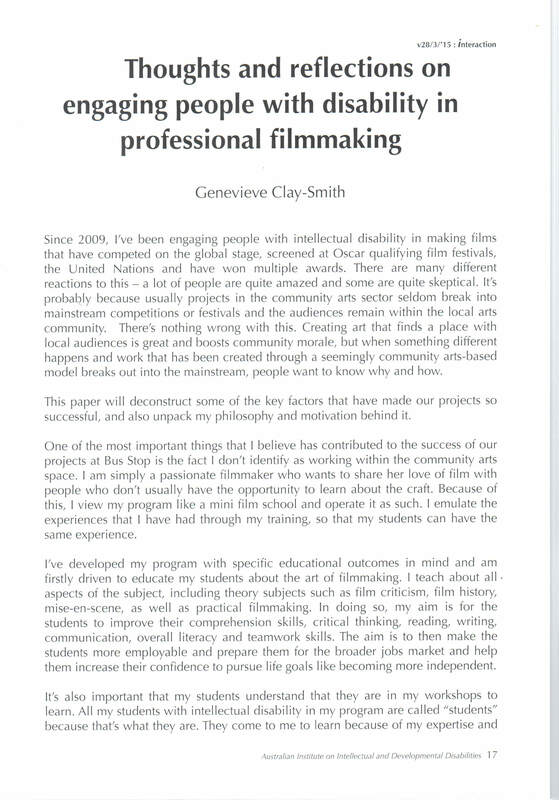 Genevieve Clay-Smith has been at the forefront of developing the Bus Stop Films accessible film studies curriculum based on her five years of teaching film studies to people with an intellectual disability and getting incredible results. 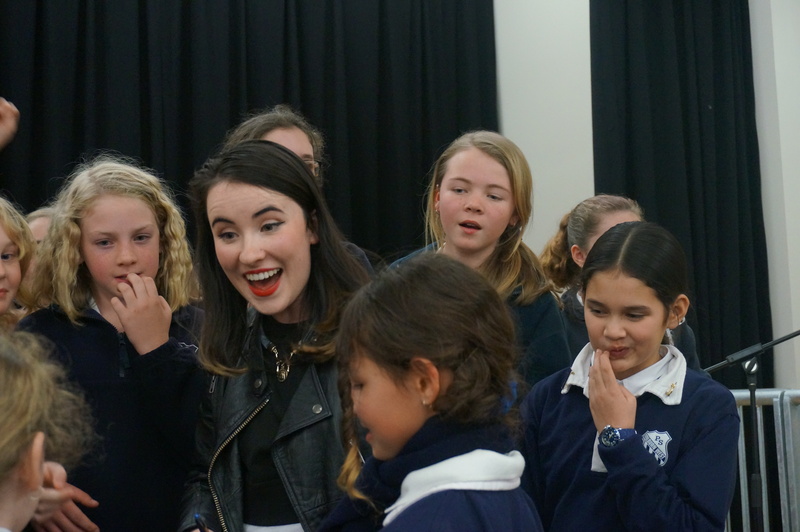 The curriculum has been funded by the AMP Foundation, TFN and has been developed in partnership with the Australian Film Television and Radio School. It is the first of it’s kind. “The curriculum aims to achieve specific transformational outcomes within the students and is designed to help them further develop and be educated in a topic of interest. Currently people with an intellectual disability miss out on university, they don’t get the chance to further study, this is a massive issue. These people are excluded from further developing their ideas, opinions, intellect and interest all because society has low expectations of them. We are crushing people’s potential in our society, I have seen many students flourish in our program because we give them dignity in their learning and within our teaching approach.” Said Co-Founder and Executive Director of Bus Stop Films, Genevieve Clay-Smith. Genevieve receives development funding for her first inclusive feature film, Baby Cat through the Screen Australia, Gender Matters initiative. 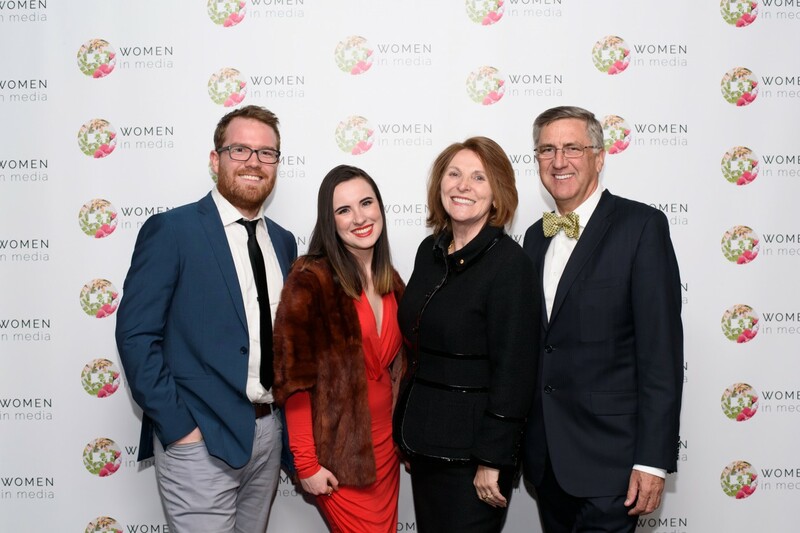 Gender Matters was announced in December 2015 as a direct response to the gender imbalance identified across the screen industry in Australia. According to Screen Australia, the disparity is most notable locally in traditional film with just 32% of women working as producers, 23% as writers and only 16% as directors. It comes amid a new wave of feminism in Hollywood with calls for more gender equality in the screen industry, led by Reese Witherspoon and her Australian producing partner Bruna Papandrea. 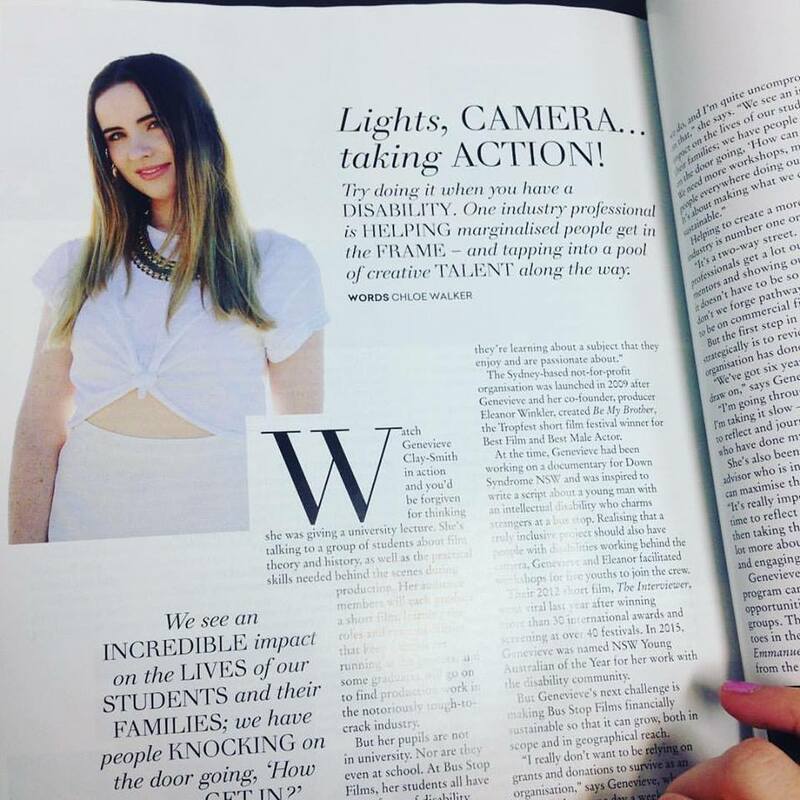 Genevieve gives her thoughts to the Financial Review on the need for more inclusion and diversity in the film industry. 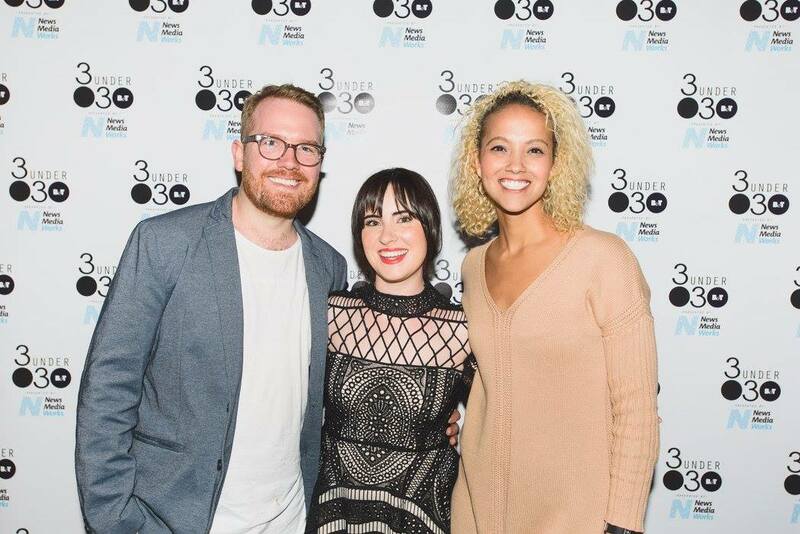 In on June 3rd Genevieve was announced as a finalist in the 2016 NSW Creative Achievement awards in the Emerging Creative Talent Award category. 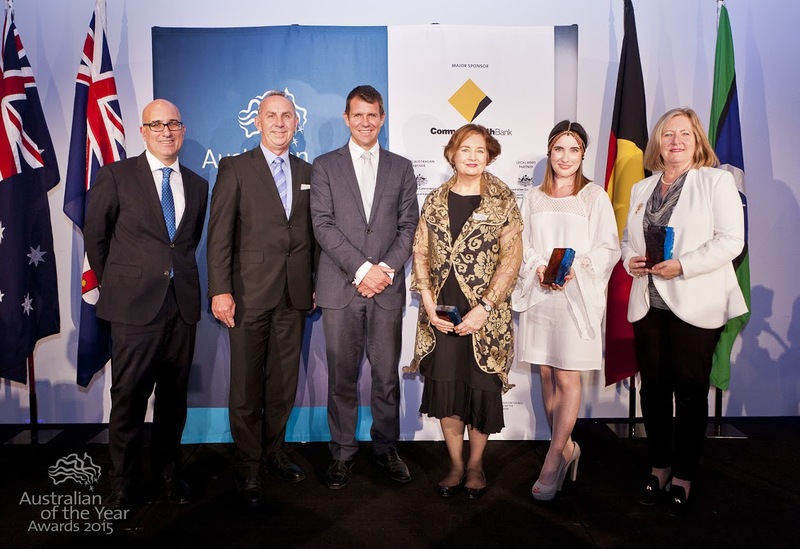 Minister for Industry Anthony Roberts said the Creative Achievement Awards, now in their third year, celebrated the strength and diversity of the creative industries in NSW by showcasing outstanding work by individuals and organisations. “The NSW Government is proud to work with the State’s vibrant creative industries sector to highlight the contribution they make to our rich cultural and social life and to our economy. 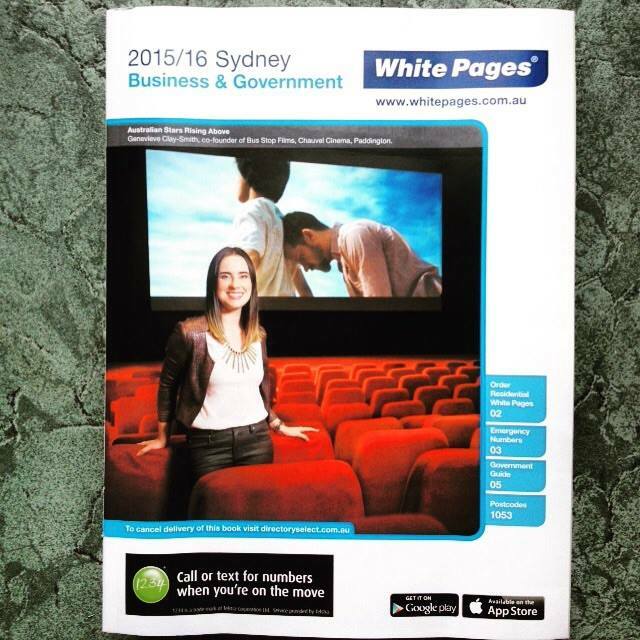 “NSW leads Australia in the creative industries. We employ about 184,000 people in this sector – more than agriculture, forestry, fishing and mining combined – and we are home to about 38 per cent of Australia’s total creative workforce. “The finalists for this year’s awards are drawn from across the State’s many creative sectors including the performing and visual arts, screen, design and the built environment. “Of the 10 finalists in this year’s Awards, four are competing for the NSW Creative Laureate award. The Sydney Film Festival and Lexus Australia today announced 21 filmmakers have been shortlisted by producers at The Weinstein Company, to compete for the largest cash fellowship for short film in Australia. Presiding over the selection process as Jury Chair is renowned Australian actress Judy Davis. The other jury members are Sydney Film Festival Director Nashen Moodley, Lexus Australia’s Adrian Weimers, and Australian producers Jan Chapman AO and Darren Dale. The industry luminaries will assess each finalist’s proposed short film projects to select up to four filmmakers, each of whom will receive a $50,000 Fellowship grant. The four successful candidates will be announced at the Sydney Film Festival (8-19 June 2016). Check out this article Genevieve wrote for FilmInk on the topic of how filmmaking and human rights are intricately connected. The Young Achiever Awards are a prestigious selection of awards recognising young people across various categories. 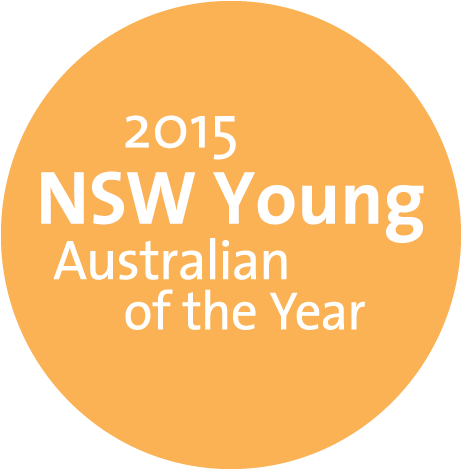 Established in 1989 the awards are aimed at recognising the next generation of Australian leaders. For her service to the arts, Genevieve was awarded with the 2016 Arts and Fashion Young Achiever Award in the presence of Deputy Premier, the Honorable Troy Grant MP Minster for the Arts. Through the Fashion and Arts Award, recognition is given to a young achiever who strives for excellence, creativity and success. The Arts and Fashion Award highlights the importance of the Arts Industry throughout NSW and the ACT and rewards the next generation of artists. Genevieve speaks about the importance of inclusion at the annual ICMI Women in Leadership conference. The largest audience to date was recorded, with 1,300 attendees filling Crown Palladium for the opportunity to hear insightful stories and experiences from women speakers from a diverse range of backgrounds. 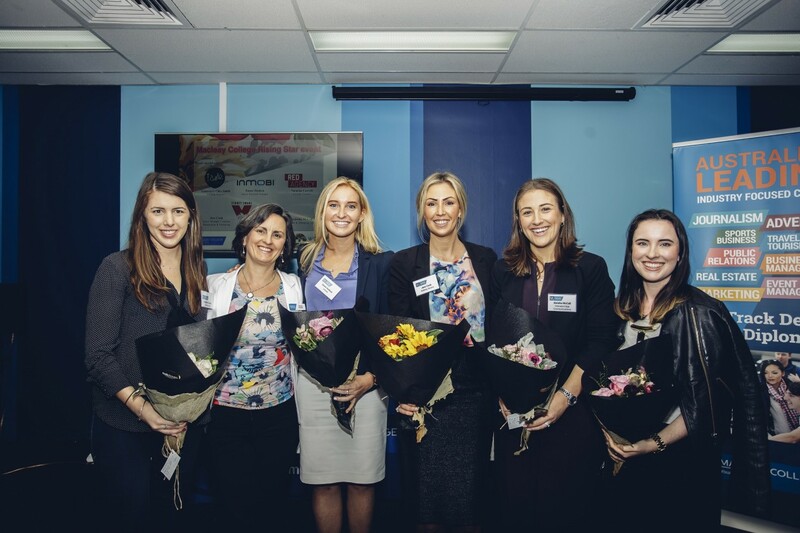 Genevieve spoke alongside Maggie Beer, Justine Flynn and Janine Allis about the importance of inclusion. LOS ANGELES – GOOD Magazine’s 2016 “GOOD 100” list captures 100 people who are improving the world through creativity and innovation. The 2016 GOOD 100 includes honorees from 37 countries and sorts them by six categories of causes: health; earth; justice & equality; spaces; information; and stories. 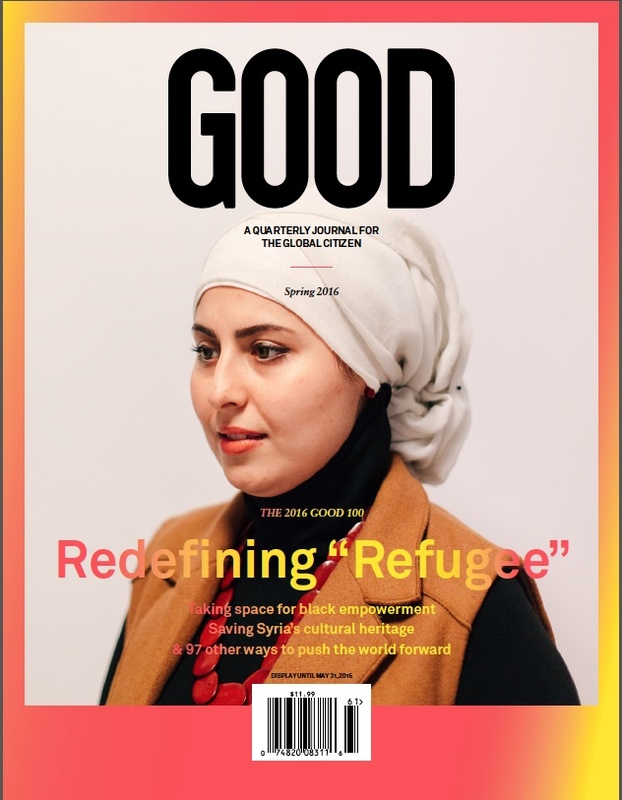 The GOOD 100 appears in its full form as Issue 36 of GOOD’s quarterly journal, available via subscription, newsstands, Barnes & Noble, Hudson Booksellers and Whole Foods. Select content will be released throughout March on GOOD’s digital magazine, http://bit.ly/thegood100. GOOD will celebrate the release of Issue 36 with a party at SXSW on March 15th. One of Genevieve’s primary goals is to make the Bus Stop Films film studies course more accessible to more people in more locations. One of the most important first steps in doing that is to create a curriculum. Recently Genevieve was successful in winning an AMP Tomorrow Maker grant to assist her in being able to develop the course. 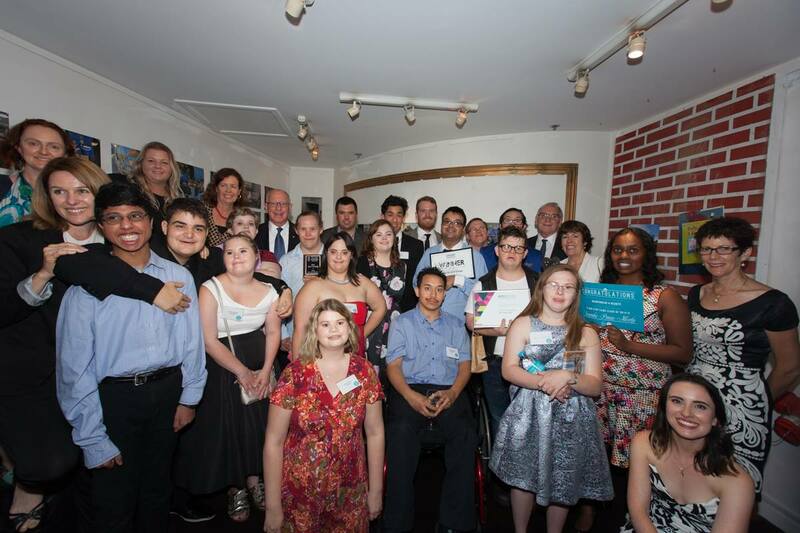 Genevieve was delighted to receive the grant alongside many other wonderful change makers! 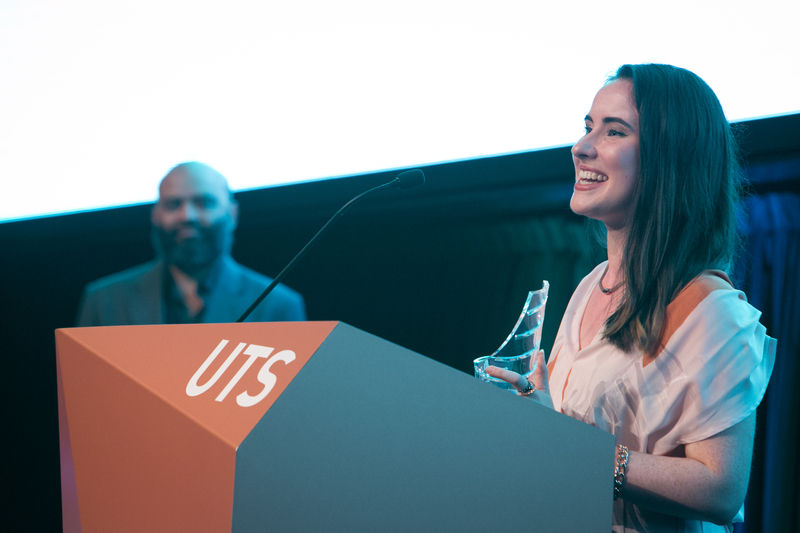 Each year the University of Technology Sydney formally recognises and celebrates the outstanding achievements of UTS alumni as well as graduates from our six antecedent institutions. The UTS Alumni Awards showcase the breadth and depth of UTS’s alumni community and the extraordinary ways in which UTS graduates are contributing to their profession and society as a whole. Genevieve was humbled to be nominated by her former lecturer Dr. Greg Ferris, and was honored to be selected as the 2015 winner. 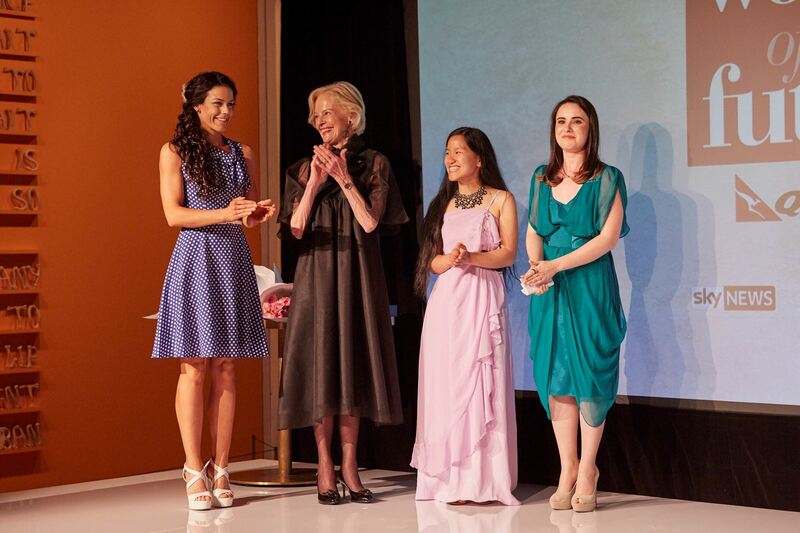 Dame Quentin Bryce announced Genevieve Clay-Smith and Marita Cheng as the Judges’ Choice winners tonight at the Art Gallery of New South Wales. It is the first time two women have won the coveted title. 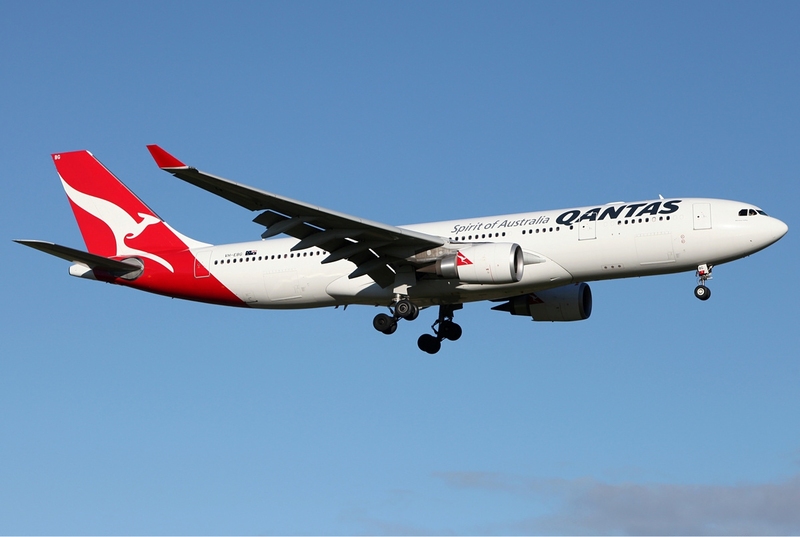 Both women have been awarded $10,000 cash, a $10,000 Qantas travel bursary and year’s Qantas Club membership. 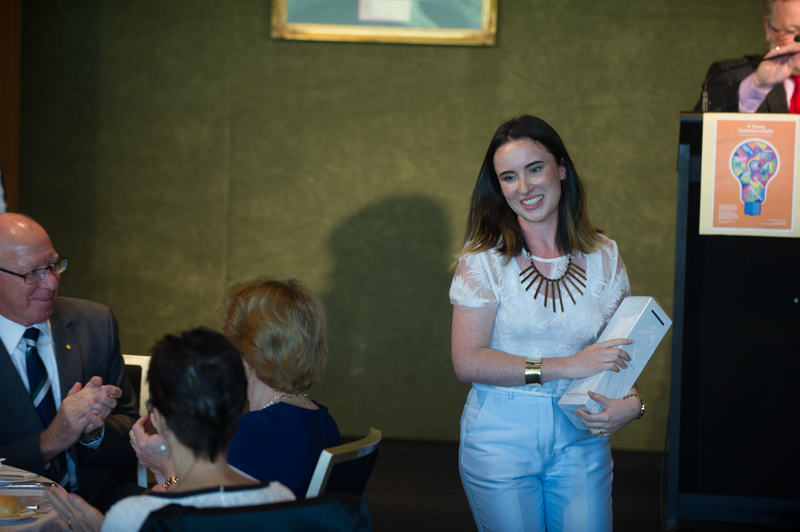 Rowena Gilbett was announced the People’s Choice winner, also receiving $10,000 cash, a $10,000 Qantas travel bursary and year’s Qantas Club membership. 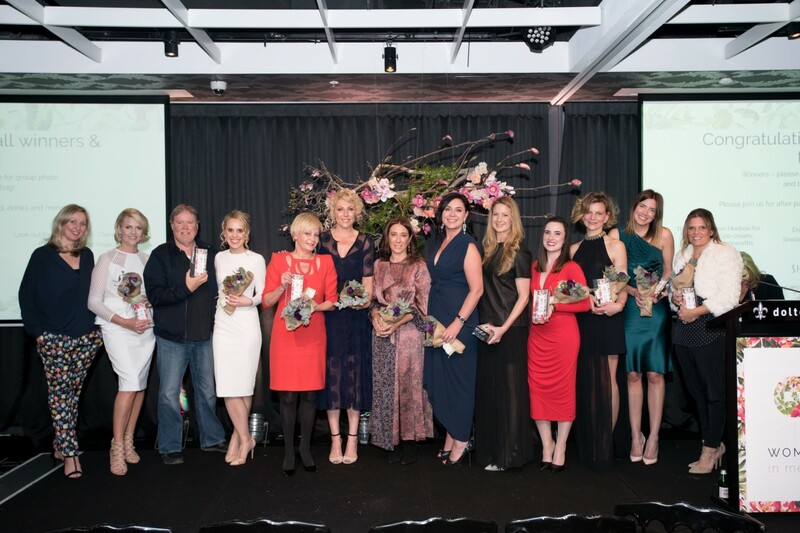 The Women of the Future competition was judged by an esteemed list of women including Jesinta Campbell, Lisa Wilkinson, Leigh Sales, Chloe Shorten, Denise Morcombe, Turia Pitt and Julie Bishop. 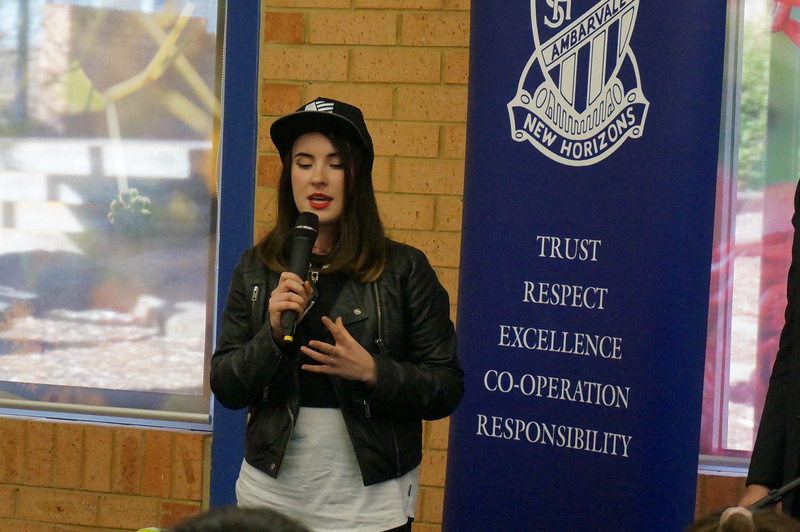 After taking out the B&T Women in Media Creative award and being short listed as a finalist in the B&T Rising Star award, Genevieve was invited to speak at an industry panel alongside four other incredible female rising stars in the media industry for B&T magazine at Macleay College. The panel was designed to inspire, encourage and give the students some important takeaways in pursuing a career in media. Read B&T article about the event! Genevieve has successfully arranged a distribution arrangement between Bus Stop Films and Stellar Entertainment which has seen 6 titles from Bus Stop Films acquired for Qantas in-flight entertainment. 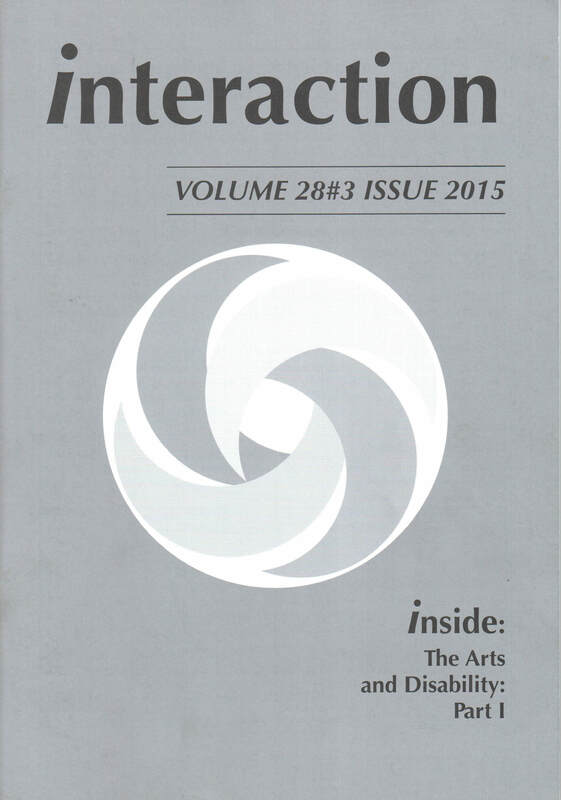 Genevieve was thrilled to have the opportunity to share her process and philosophies behind her inclusive filmmaking projects in the NCID’s journal “Interaction”. She hopes that by sharing her thoughts and reflections she will encourage others to create programs and projects similar to what she has been developing over the past six years through Bus Stop Films. 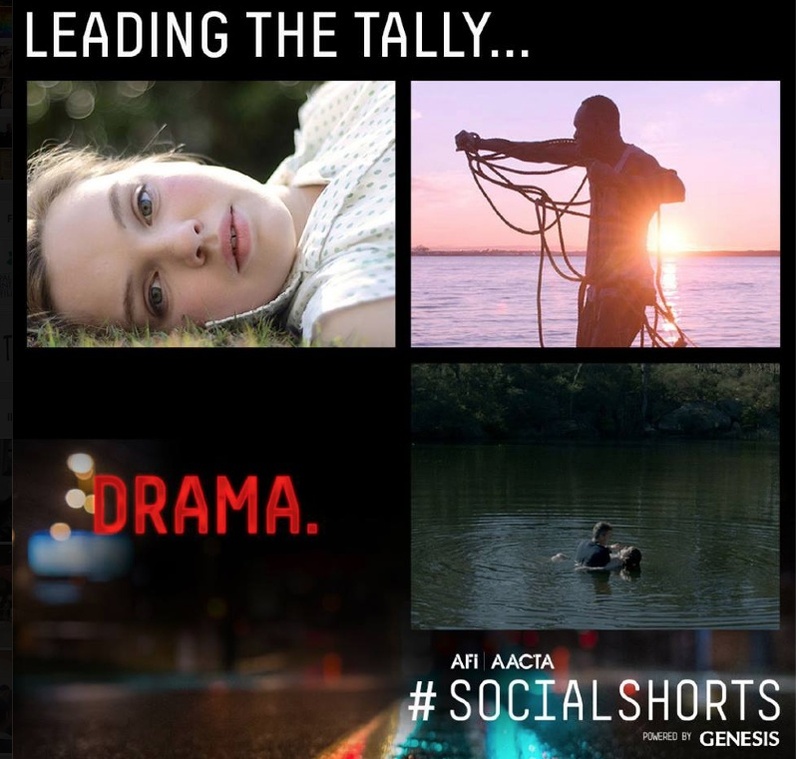 Genevieve’s short film I Am Emmanuel was chosen to compete in the social shorts competition as a part of the annual ACCTA awards. The film made it to the top three on the leader board indicating public voting was high for the film. Furthermore I Am Emmanuel was selected as Gracie Otto’s favorite film in the drama category. So a great outcome and great exposure for the film! 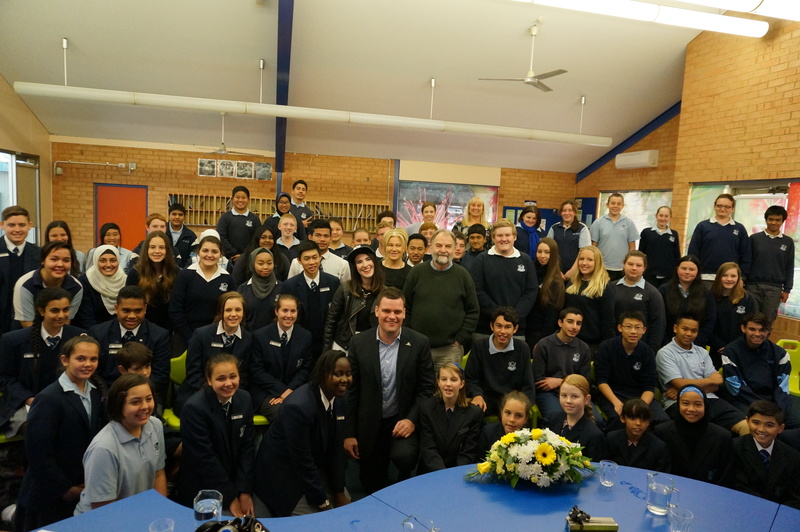 Genevieve along with 2015 NSW local hero Rev Graham Long, 2015 NSW Australian of the year Debora Lee-Furness and youth advocate Jules Allen toured around regional Australia visiting schools to encourage the youth of Australia’s country towns. The three day tour saw the group visit over 8 schools across NSW, with a focus on encouraging and empowering the kids. Genevieve has been named as a semi-finalist in the women of the future awards, and is up for a 10k prize to be put towards developing a film studies curriculum based on the workshops and course plans she has devised over the past four years. “I’m very passionate about film education and giving people with an intellectual disability the opportunity to learn about film studies.” The aim is to help Bus Stop scale their workshops and train more trainers so that more people can participate in learning about film. Genevieve has been shortlisted for three awards in B&T’s Women in Media awards; Creative, Community/Pro-bono and Rising Star. 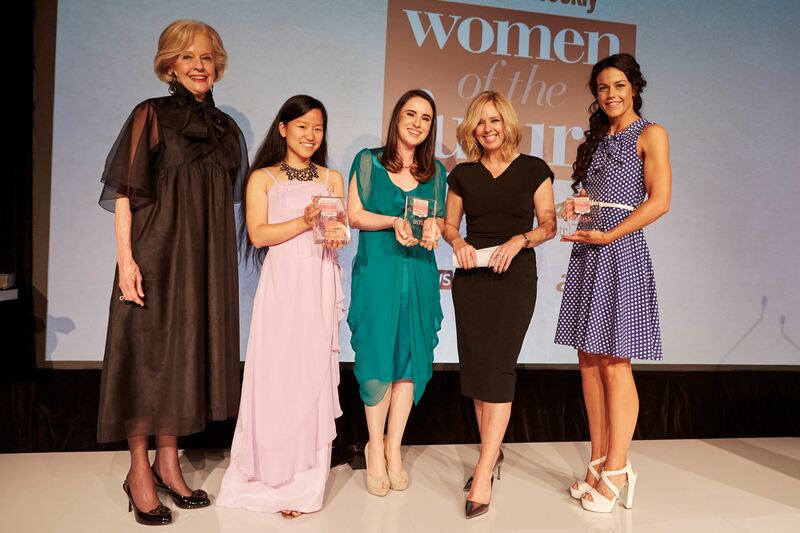 The Women in Media Awards celebrate all the inspiring, innovating and game-changing women in the industry. The winners will be announced at the awards night on Thursday the 13th of August. To read the others nominated click here for the full shortlist ! Who knew that at someone so young could make such an impact? We certainly didn’t, at least that was until we meet Genevieve Clay-Smith. Genevieve’s creative agency Taste Creative, has been nominated for emerging agency of the year! Both her and her husband are thrilled to be shortlisted and the winner will be announced at an awards ceremony on June 4th. Genevieve and her husband Henry Smith began the agency in 2010 after meeting midway through 2009. Mumbrella Awards – full list of shortlisted agencies. 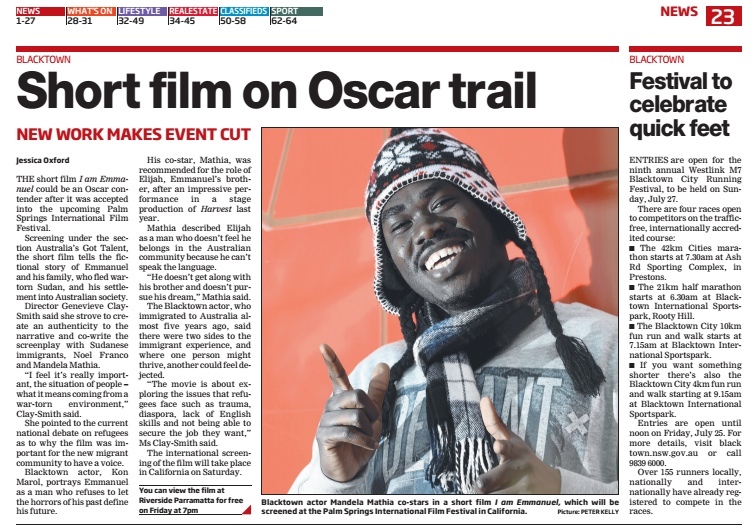 I Am Emmanuel has taken out Best Australian Short Film at the annual Human Rights Arts and Film Festival on May 8th in Melbourne at ACMI Federation Sq. “This means so much, the film was created to raise awareness about issues facing refugees in settlement including, diaspora, depression, language barriers, educational barriers and PTS. Winning this award means we’ve done justice to bringing these issues out into the open. 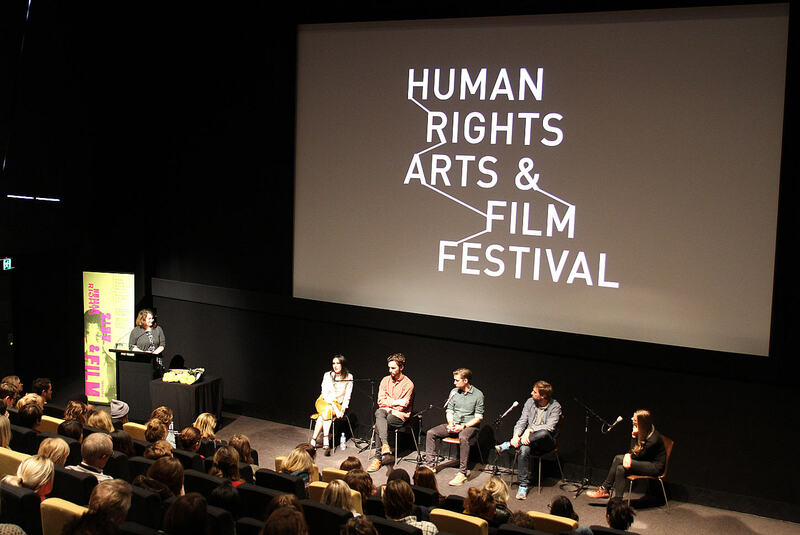 As our society can gain more understanding and empathy for people from a refugee background, the more chance we have of building an inclusive and welcoming society.” Said director, Genevieve Clay-Smith, who also spoke on two panels at the festival exploring how film can create social change. 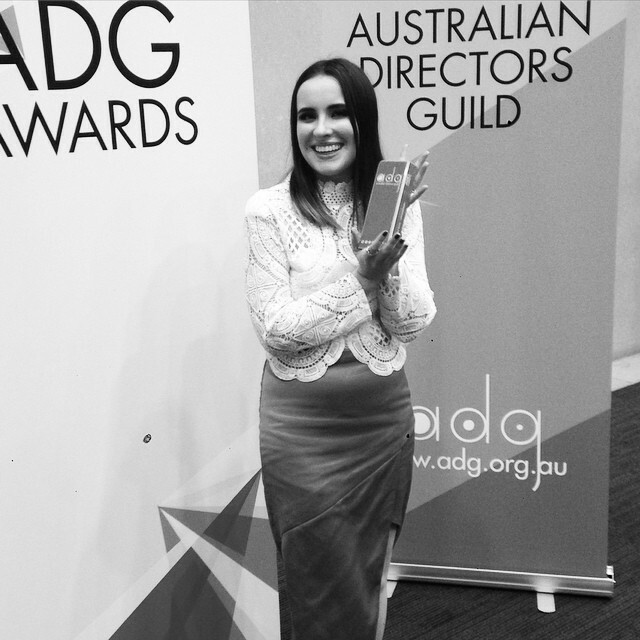 Genevieve Clay-Smith has won Best Director in the student film category at the Australian Director’s Guild Awards, held on May 8th at the Sofitel on Collins in Melbourne. 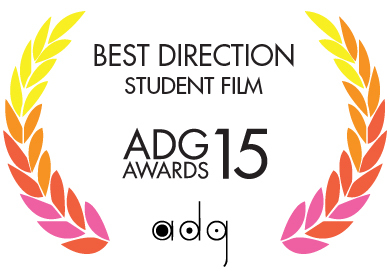 Genevieve was particularly grateful to the ADG and the jury for selecting I Am Emmanuel and for believing in it. In her thank you speech she made special note of the two co-writers of the film, Noel Franco and Mandela Mathia, both men with a refugee background from South Sudan. She described the importance of being inclusive and mentoring people in the process of filmmaking so that they can have the opportunity to develop and up-skill “let’s keep up the directors attachments, let’s keep up the mentoring” she encouraged. 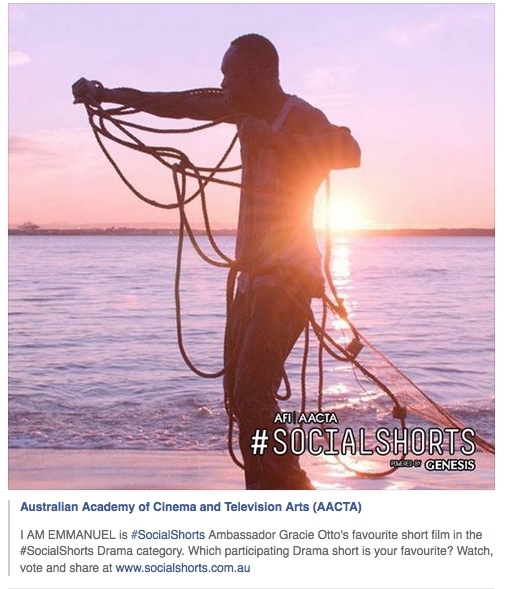 I Am Emmanuel was made in 2013 during Clay-Smith’s masters degree at the Australian Film Television and Radio School in Sydney. 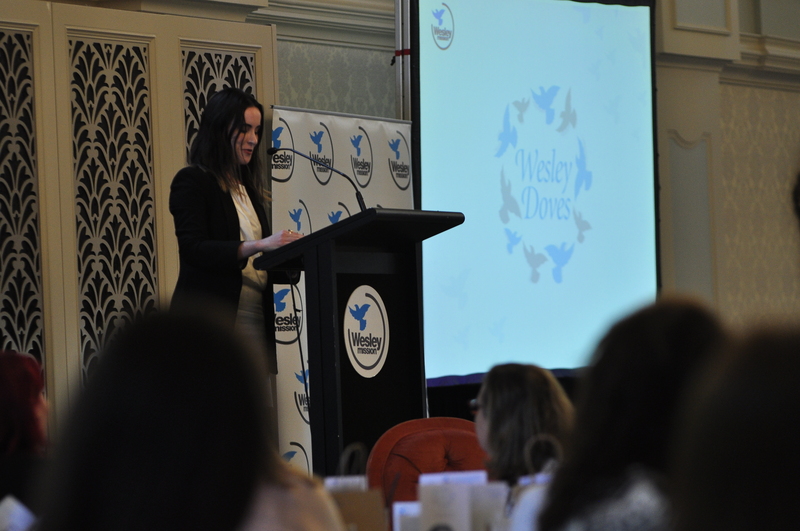 Genevieve was delighted to support the work Wesley Disability Services as a keynote at Wesley Doves fundraiser in the beautiful setting of the QVB Tearoom. She encouraged people to continue being inclusive and to raise the bar when it comes to believing in what people with a disability can achieve. We must encourage people with a disability to reach their full potential, we must believe they can get that job or learn that life skill. Just like with anyone else, failure isn’t a dirty word, if someone does stumble, it’s not over, life is all about getting up and dusting yourself off time and time again no matter who you are. Genevieve Clay-Smith believes that you can’t understand someone’s full potential until you give them a chance to rise to the occasion. 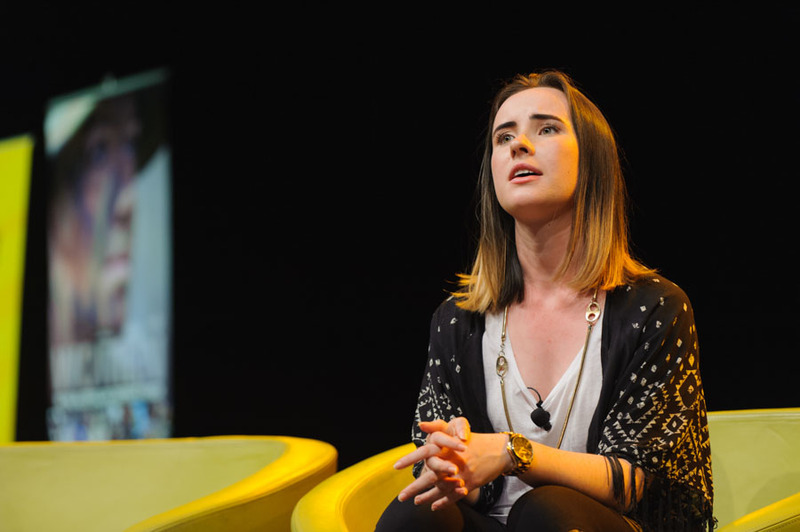 The multi award-winning filmmaker and entrepreneur, who was named 2015 NSW Young Australian of the Year, is using her filmmaking talents to help diverse and marginalised communities voice their experiences through short film. 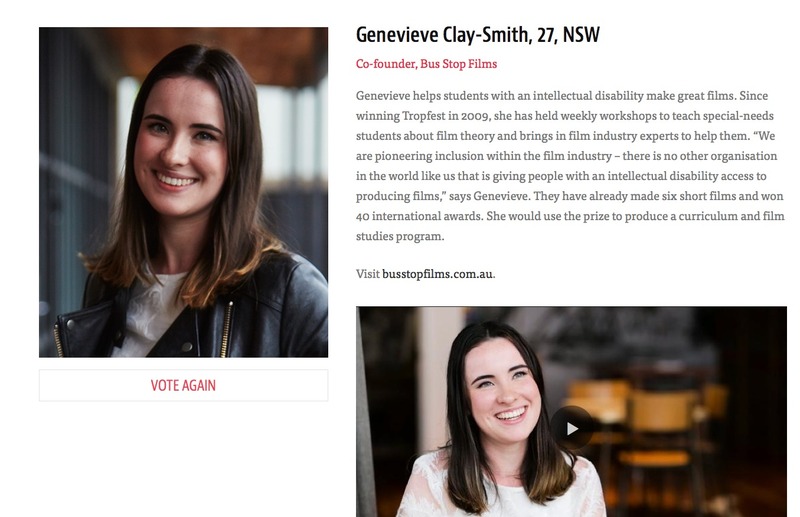 Not only is Genevieve making cerebral, meaningful short films like her 2009 Tropfest winning, Be My Brother, but she’s also breaking down barriers by co-founding a not-for-profit organisation, Bus Stop Films, that provides a creative outlet for marginalised members of the community. So with all of that in mind it’s not hard to understand why she won this year’s NSW Young Australian of the Year. Genevieve has received a 2015 Austrailian Directors Guild nomination for her work directing short film I Am Emmanuel. Genevieve encouraged the delegates at the annual commonwealth Day celebrations to be mentors to the younger generation and help young people who need a leg up in society. With this year’s theme being ‘A Young Commonwealth’ it is truly fantastic that we can come together, to shine a light on the capacity, contribution and potential of all young people. And to be reminded of how important it is, for us to be supporting and building up our youth so they can realise their full potential. Within her speech she spoke of her own experience as a young person growing up in Newcastle and the need for mentors in her life. My story and my message, is all about how, so often, young people from low socio economic and marginalised backgrounds, like myself, like the other young people I work with, underestimate their value and their full potential. They need mentors, encouragement and a helping hand to understand what they are capable of. A new Bus Stop Films, short film project, Heartbreak and Beauty, is launched at the Chauvel Cinema, with His Excellency, General the Honourable David Hurley Governor of New South Wales and his wife, Mrs Linda Hurley. The launch of Heartbreak and Beauty on the 21st of February was an outstanding success with Bus Stop Films, filmmaking students receiving an incredible response from a packed cinema! The films, The Interviewer and Heartbreak and Beauty were recieved incredibly well by our 350 guests on the night, and needless to say there were many celebrations afterwards! Students began the event with a pamper session! All students had the opportunity to get their hair and make up done and have a massage to ready them for the red carpet. All students involved with The Interviewer walked away with trophies that the film had won while on it’s two year film festival circuit and our supporters for Heartbreak and Beauty even received an original Digby Webster artwork, you must check him out! http://www.digbywebster.com/ His Excellency General, the Honourable David Hurley, Governor of NSW made an incredibly heartfelt speech, stating that there was more talent in the room than at the Oscars. His Excellency received a mounted Heartbreak and Beauty Poster along with a Digby painting and the Bus Stop Films box set of DVDs! 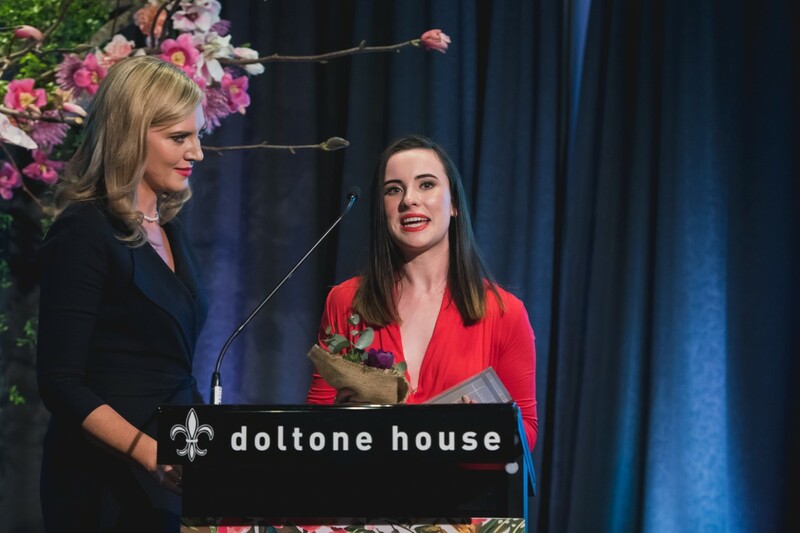 The NSW Young Australian of the Year, 100 women of influence winner, former Tropfest winner and co-founder of Bus Stop Films, Genevieve Clay-Smith, is launching a new short film Heartbreak & Beauty at the Chauvel Theatre on Oxford Street, Sydney on 21st February, 2015. 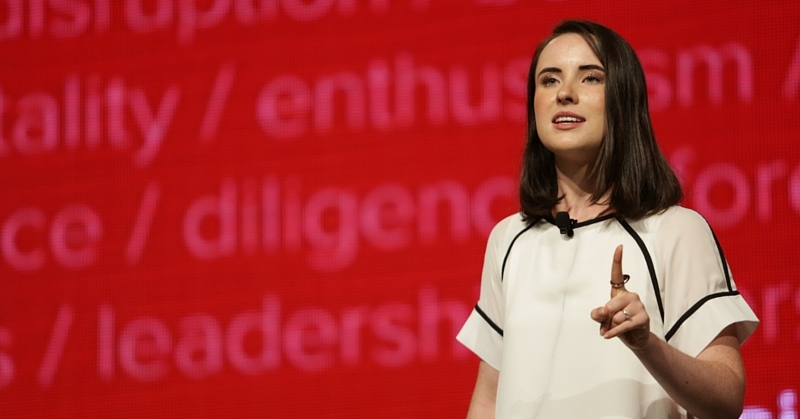 Genevieve talks at Halogen’s National Young Leaders Day conference! 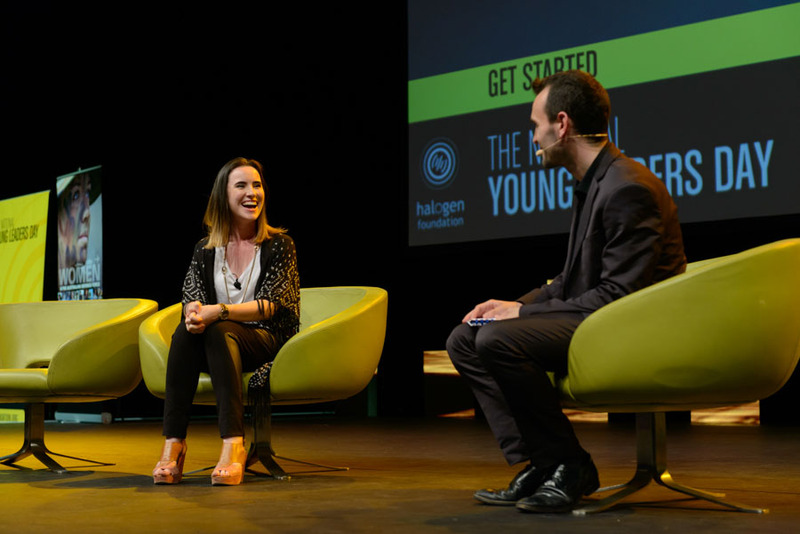 Genevieve was asked to share her story with two thousand young leaders at the Halogen, National Young Leaders Day conference in November 2014! 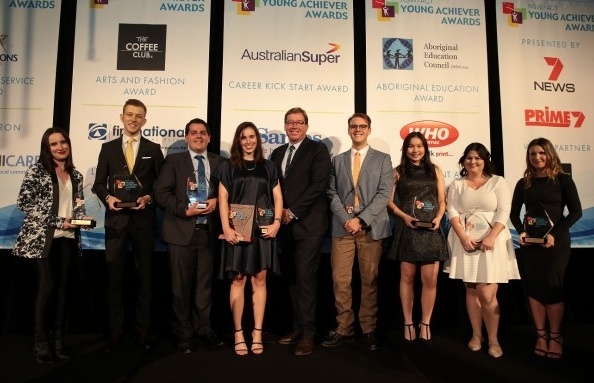 Genevieve is named NSW Young Australian of the Year! 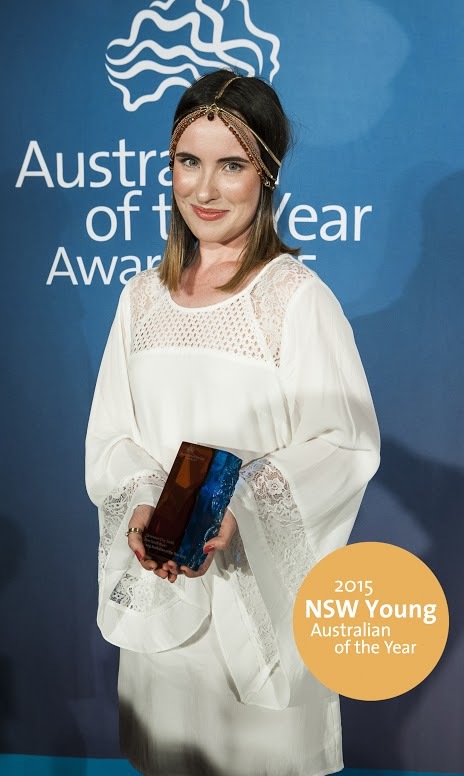 HUNTER native Genevieve Clay-Smith has been named the 2015 NSW Young Australian of the Year. The filmmaker and social entrepreneur, 26, is the co-founder of not-for-profit organisation Bus Stop Films, which teaches members of diverse and marginalised communities how to create short films that voice their experiences. Genevieve WINS the 100 Women of Influence, Young Leader Award! Just announced! 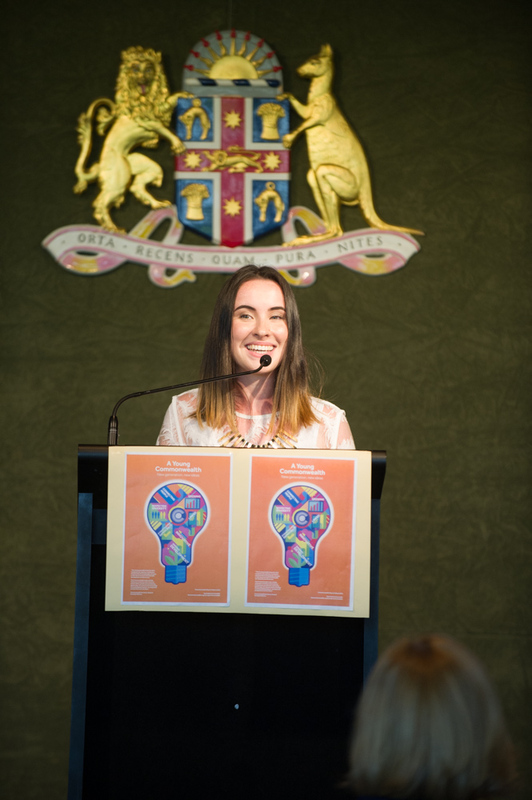 Genevieve is a NSW State Finalist in the Young Australian of the Year awards. 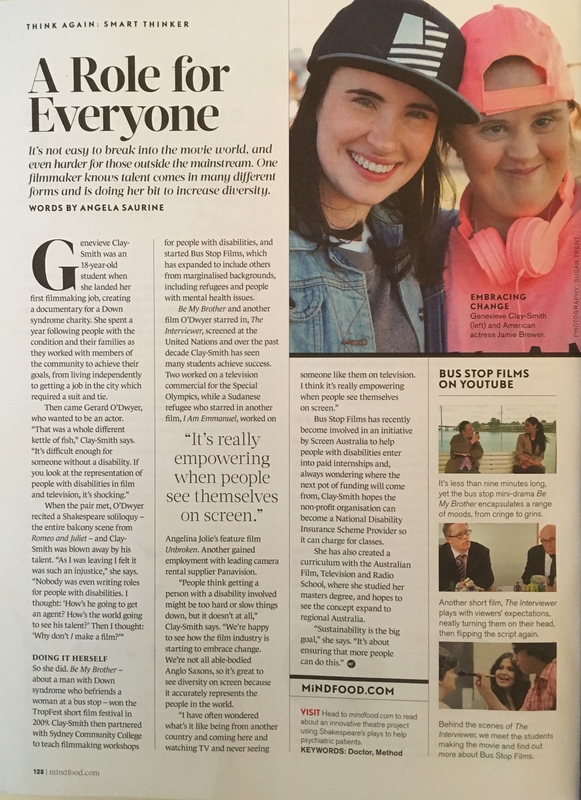 While other young filmmakers chase fame and fortune, Genevieve Clay-Smith uses her skills to help people facing barriers to inclusion. Through her not-for-profit organisation, Bus Stop Films, which she runs voluntarily, Genevieve works with diverse and marginalised communities to create short films that voice their experiences. 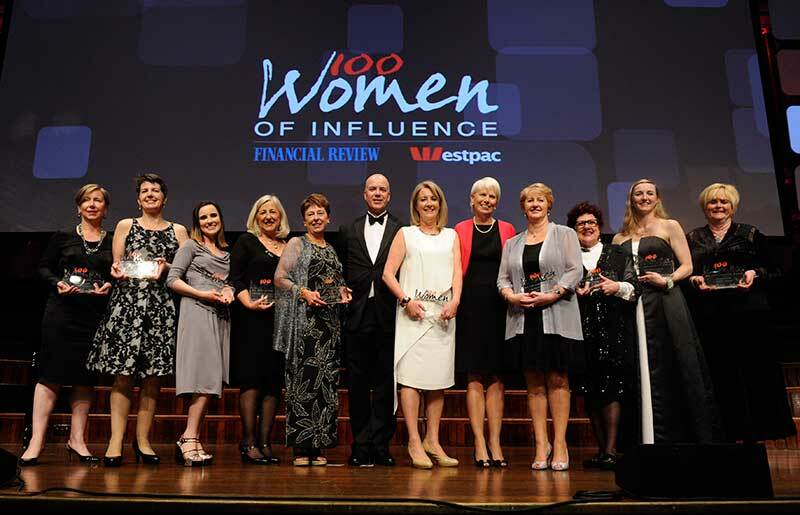 Genevieve named as one of Westpac and Financial Review’s 100 Women of Influence! 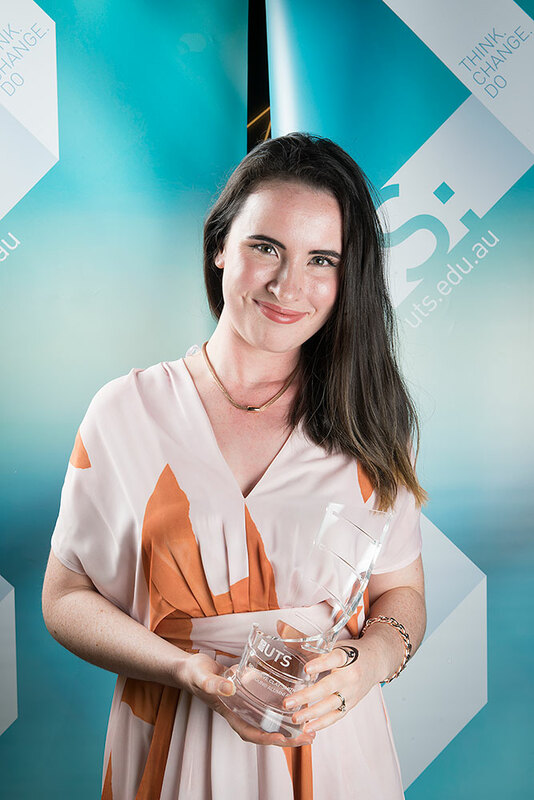 And young filmmaker Genevieve Clay-Smith has been recognised in the Young Leaders category for her efforts in creating inclusion within the film industry. Ms Clay-Smith is a writer and director and uses her role through Bus Stop Films, a not-for-profit organisation dedicated to giving people with a disability the chance to act and be involved in professional filmmaking. 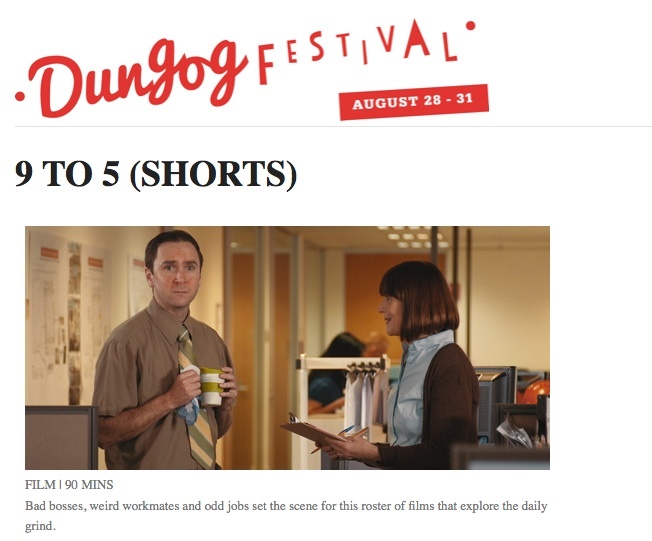 Work Mate is selected for Dungog Festival 2014! Inspired by real life postal worker Charlie McConnell, the film ‘Work Mate’ takes a new approach to disability awareness training and aims to encourage employees to feel more confident working with, and supporting their colleagues with disability. As well as giving this community a voice, Clay-Smith wants to shake up dishonest perceptions surrounding refugees that still hold firm. 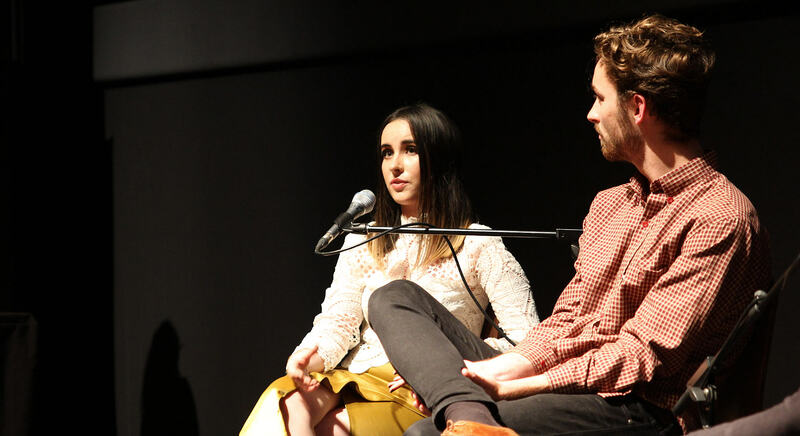 We wanted the film to start a conversation about refugees in Australia, and how asylum seekers are treated by the government and the media, said co-producer Isha Kamara. 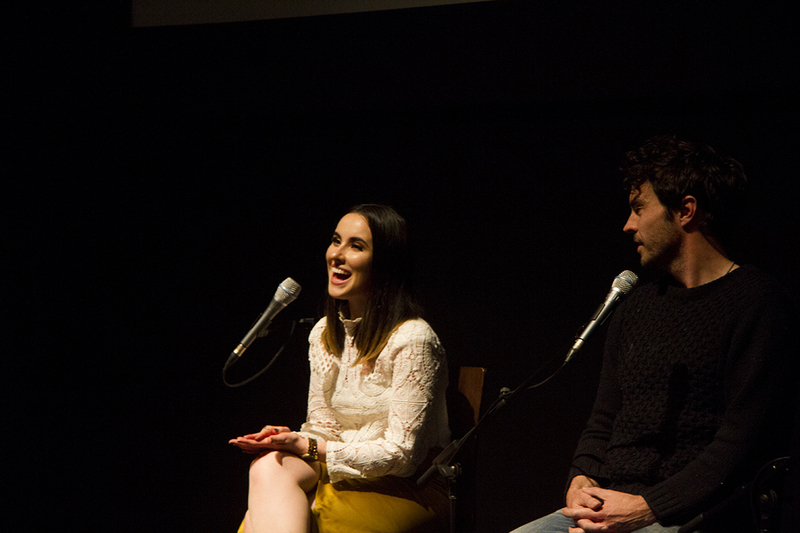 The Interviewer was produced by Eleanor Winkler and Bus Stop Films, a pioneering organization in New South Wales that’s focused on creating film making environments that include individuals who wouldn’t ordinarily be found behind the camera. At present, Genevieve’s focus is on running workshops for people with a mild to moderate intellectual disability, teaching them how the film industry works and providing a taste in a supported environment of what it is to work in the industry in production, acting, make-up, sound, editing, directing, costume, etc. Genevieve Clay-Smith is passionate about what she calls ‘‘inclusive filmmaking’’. 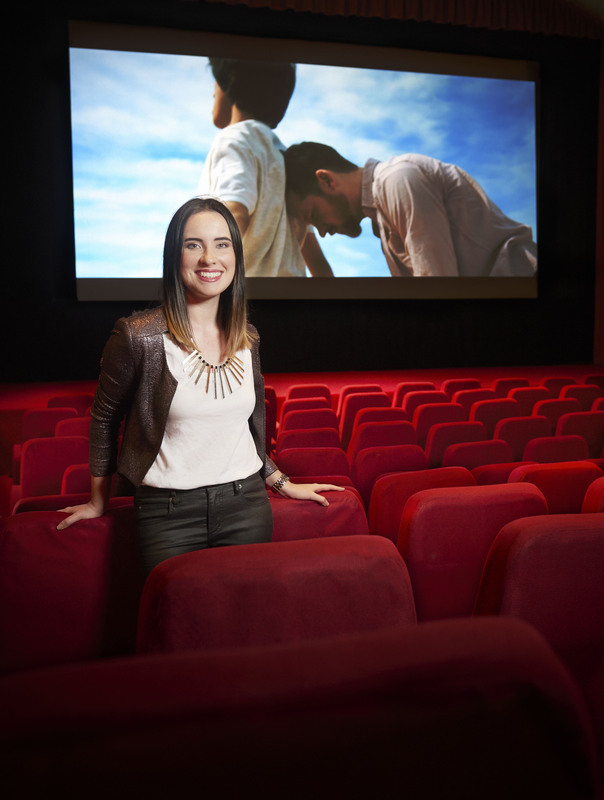 The Sydney filmmaker has worked with people with disabilities – both on the screen and behind the scenes – since her 2009 Tropfest-winning Be My Brother. Bus Stop Films offers participants the same types of things other film-making students would learn theoretically and practically. Why should anyone judge a person’s relationship as valid or real if they’ve got a disability, particularly when that relationship is thriving? 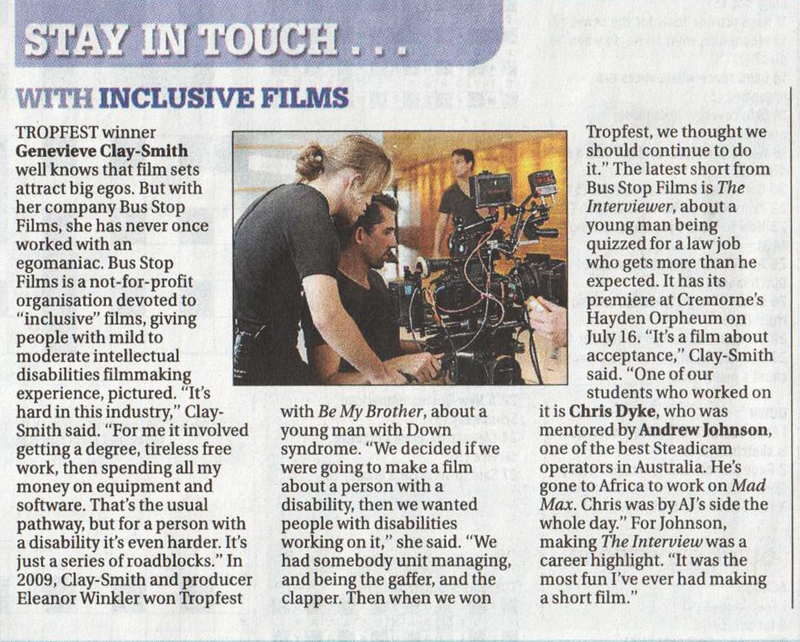 Indeed Clay has proven herself to be a talented young filmmaker, taking out the top prize at last year’s Tropfest for her inspiring film Be My Brother, a story about a young man with Down Syndrome which challenged social prejudices. 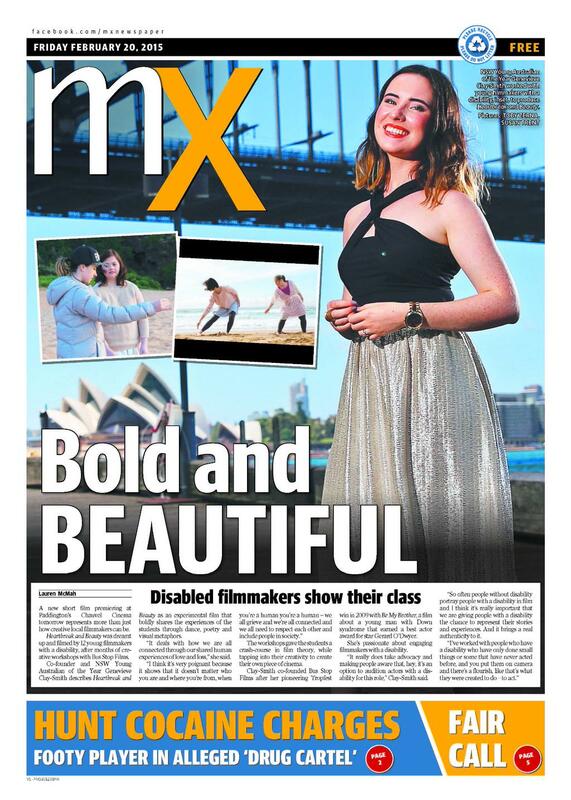 Her latest short film, Frances and Annie, which also examines the way society treats people with disabilities, made waves at the 2009 Bondi Short Film Festival where it won Best Script. For Genevieve Clay, filmmaking is about more than just entertaining audiences. This talented young director believes that film can be a medium for change and has long been using her films to address issues of social justice. Short film director Genevieve Clay broke considerable ground in 2009 when she won Tropfest with a work, ‘Be My Brother’ – the story of a young man with down syndrome. Now she’s turned her lens to Canberra talent. Stateline went on location to meet the Beautiful cast and crew. I think the film industry should be mindful of including people. It’s hard enough for people without disabilities to get a foot in the door, let alone people with disabilities. The 20-year-old took out the top prize at the 17th annual awards in Sydney for her story about a young man with Down Syndrome. She was inspired by Gerard’s vivacity and photographic memory for dialogue and decided to write a script to showcase his talent and ability as an actor. In Be My Brother he plays a young man who challenges the prejudices of a stranger waiting at a bus stop and touches the heart and mind of someone else close by.